Fuel prices are no small part of the total cost of your fleet. A 2011 study found that fuel makes up 19% of a vehicle’s total cost of ownership . There’s a lot we can’t control when it comes to the price of fuel. International prices are impacted by environmental and geopolitical events, as well as supply and demand. Domestic prices are impacted by fuel duty and VAT – and we can only express our feelings about that at the ballot box. The decisions the energy giants make are out of our hands too. Between 2005 and 2012 the average price of diesel in Europe shot up by 92% and premium unleaded prices rose by 109% . However, we can control the fuel efficiency of our machinery and vehicles, the routes that are taken and job allocation. Driver behaviour can be influenced too, although this can be a trickier area. This does not mean overhauling your entire fleet: small changes here and there can add up to big savings overall. But are the savings worth it? They certainly were for Zenith Hygiene Group: the cleaning and hygiene specialist saved £10k in fuel every month. This amounts to just over £1,000 per vehicle per year for its 119-strong fleet. That means that each vehicle is making more out of the time it spends on the road. These aren’t the only benefits either: greener businesses can take advantage of government tax incentives, Congestion Charge savings and capital contributions towards new vehicles. With this in mind, what can you do to keep make sure your business is always as fuel efficient as possible? 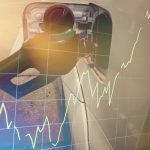 As with many things in business, from planning workflow to controlling stock, more accurate data in higher volumes can help you to better manage your fuel use. 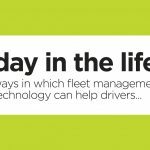 Modern systems are providing more information to give companies increasingly accurate insights in their fleet. This data can show you just how fuel efficient your vehicles are. 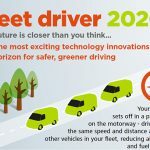 But that’s just the tip of the iceberg – data can be used to improve most of the points mentioned below, from driving habits to finding the best route and ensuring your vehicles make the most of their time actually spent on the road. Collect data intelligently, and get the statistics that are most important to you, using a customised report or dashboard. To find out more about using telematics systems to save fuel in your fleet, download our white paper here. This is not always an easy subject to talk about, with implications of breathing down someone’s neck and picking up on every mistake. But gaining better data about driving behaviour isn’t about that: it’s about identifying long term, habitual problems. Modern tools allow managers to quickly review this information in easily digestible formats, such as simple charts and driver league tables. This means underperforming drivers can be offered training in the areas that will really make a difference, rather than being punished for every natural slip-up and error of judgement. Some systems provide immediate feedback in the cab too, including alerts about bad habits like sudden braking and summary statistics of performance on the road. This gives individual drivers the power to address bad habits early on, without interference. Better behaviour on the road can make a big difference to the amount of fuel your fleet uses. Reducing the numbers of incidents of speeding, idling, harsh breaking and cornering can make a huge difference, for example. Zenith Hygiene increased its average vehicle mpg from 26 to 43 in only three months, using reports into these incidents and other driver behaviours generated by TomTom’s Optidrive. Driver behaviour also improved thanks to the use of Active Driver Feedback. This provides drivers with alerts about driving behaviours and fuel use, giving them the tools they need to monitor and improve their driving autonomously. These changes have contributed to a saving of nearly 600 tonnes of CO2 a year for Zenith’s lorry fleet, the same as 1,000 return trips between London and Manchester. Communication might seem like a strange factor for improving fuel efficiency. But it can make a real difference. Take job allocation as an example. Being able to give jobs to drivers directly, using a system installed in the vehicle, means that drivers no longer need to come back to the depot or the head office to get their next route. Combining this with data means that drivers can be assigned to the nearest job, making the process even more efficient. Also, two way communication means drivers can feedback about any problems, delays and other information from the road that might be unknown to their fleet manager. Moving quickly between jobs, it’s always tempting to try and take the route that covers the shortest distance. But this is not necessarily the most efficient, either in terms of the time it takes or the fuel used. Newer systems provide up-to-date traffic information, giving you all the information you need to find the least congested route. This means less time idling in traffic, more punctual appointments and deliveries, and generally avoiding delays and wasted fuel. Improved punctuality, as well as keeping customers happy by fitting in with their schedules, means you can spend more time with customers and provide a better service. Ultimately, a fuel efficiency practice is also one that help you get the most out of time away from the office or depot. Some of the factors that effect fuel efficiency are not immediately obvious. They involve bits of basic vehicle maintenance, which are often forgotten. Looking after your fleet can prevent a lot of wasted fuel. What have been your experiences with implementing new fuel efficiency tactics and techniques? What benefits has your business seen? Leave us a comment and let us know. Not many fleet operators would think about it, but good communication really can lead to a rise in your company’s fuel efficiency. If you’re driver’s understand exactly which route they’re supposed to take before they leave then they are less likely to detour and waster fuel. Good communication can also establish just how much fuel they are using as long as they properly check-in at each stop on the route. I really liked your point about going the efficient route over the shortest possible distance. This makes a lot of sense since it means that you are making sure you use your time and fuel wisely. My brother might like knowing this since he has been looking into commercial fleet repair.